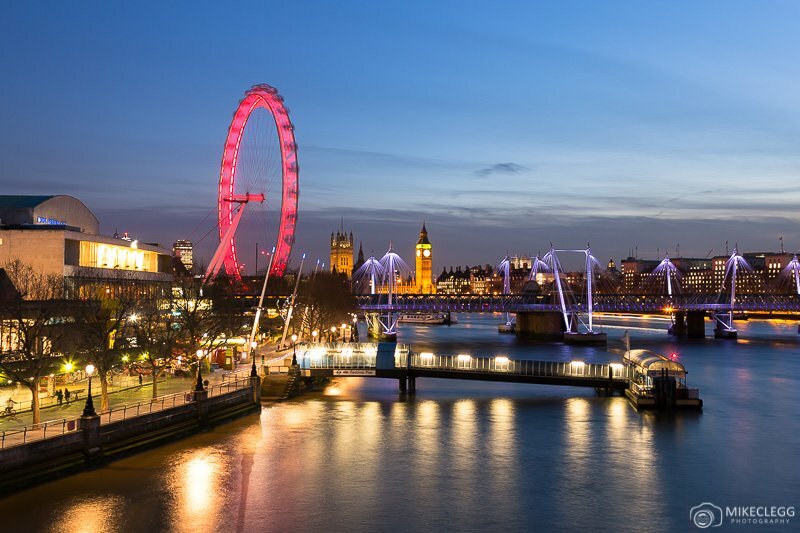 Are you visiting London and want some ideas on the best things to see and do? In this post, you’ll find my top suggestions. From places to see, amazing viewpoints, cool areas to eat, where to shop, places to relax and more! Before heading to a place remember to visit the official website to check opening times and prices (where applicable). 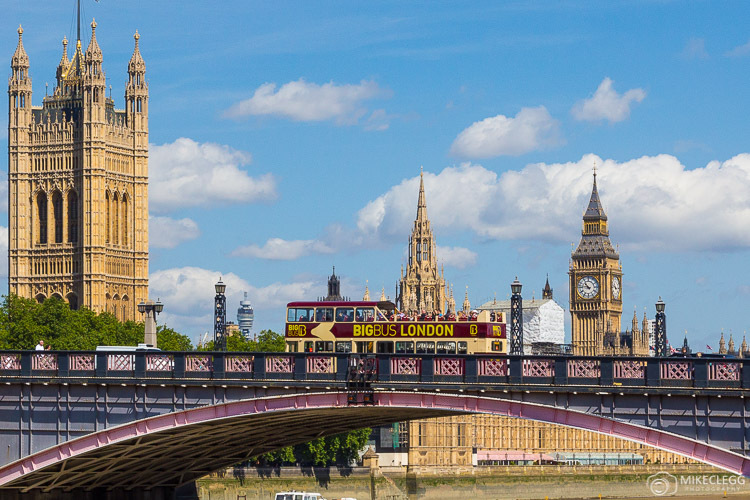 Here are the best things to see and do during your visit to London. The Shard is London’s tallest building and provides exceptional views of the city. You can choose to head up to the Shard View which is an observation platform on the 69th and 72nd floor. Or if you prefer you could stay in the stunning Shangri-La Hotel which has rooms from the 36th-50th floor. They also have a restaurant and bar which you can visit. 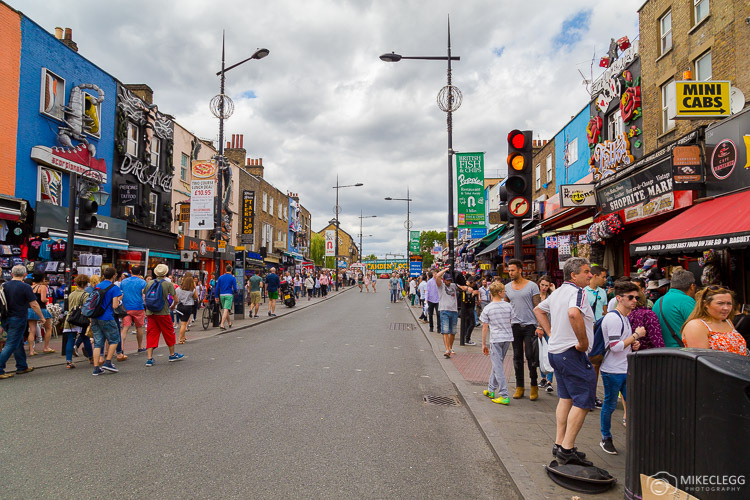 Camden Town is London’s more diverse and quirky neighbourhood. Here you’ll find shop facades with giant shoes, planes and other random things on the outside. There’s the famous Camden Market where you can buy clothes and many more items, and slightly north of the station across Regents Canal, is a street food market, which is an awesome place to go for lunch. Visit camdenmarket.com to learn more. One of my favourite things to do in London is to walk along the River Thames. A great walk is to start from Tower Bridge at the East of the City, and then slowly walk along the waterfront on the south of the river, towards the Houses of Parliament. As you walk you’ll get to see St Paul’s Cathedral, Tate Modern, The London Eye, Westminster and lots of the city’s impressive skyline. This walk is fantastic both day and night, although at night it’s quite romantic and makes for wonderful photographs when the city is lit up. 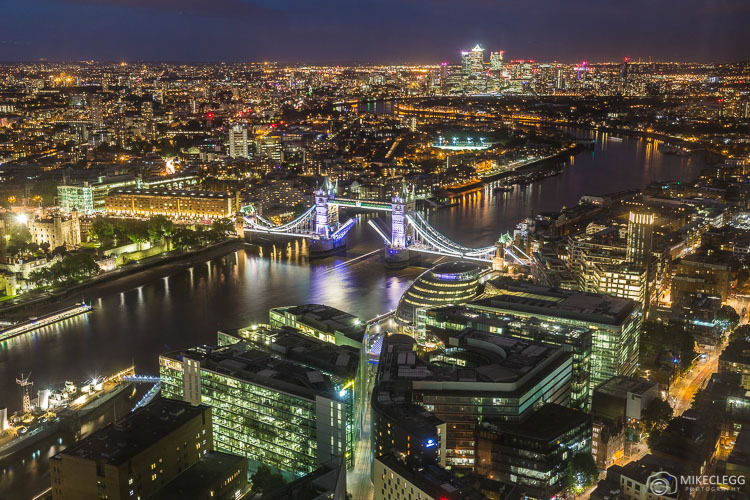 To learn how to take photographs of cities at night head to Photography Tips – Cities at Night. London has so many fantastic parks throughout the city. One of my favourites includes Hyde Park which is one of the biggest and is centrally located. Other excellent parks in the city include Regent’s Park, Green Park and St James’s Park. 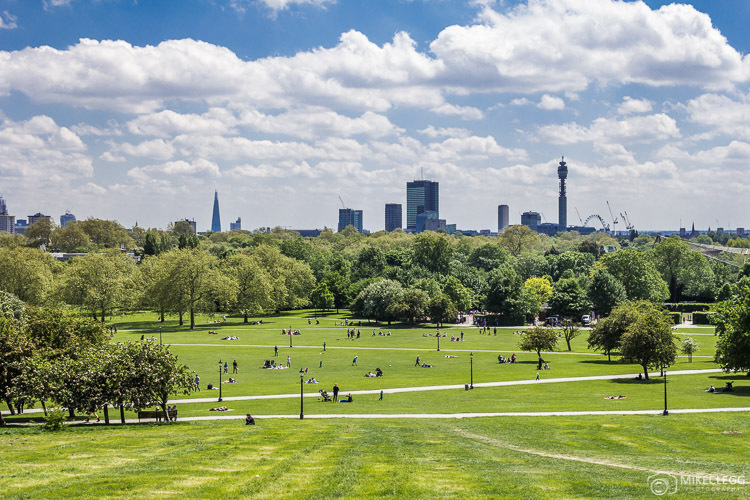 For views head to Primrose Hill and Greenwich Park. If you have time also head to Richmond Park where you may see deer and other wildlife. It takes a while to get to Richmond Park though so bear this in mind. The Brits are renowned for their pub culture and you will often find locals having a pint or two after work in the evening. Pubs are everywhere throughout the city, so you won’t have to wander around long before you find one. 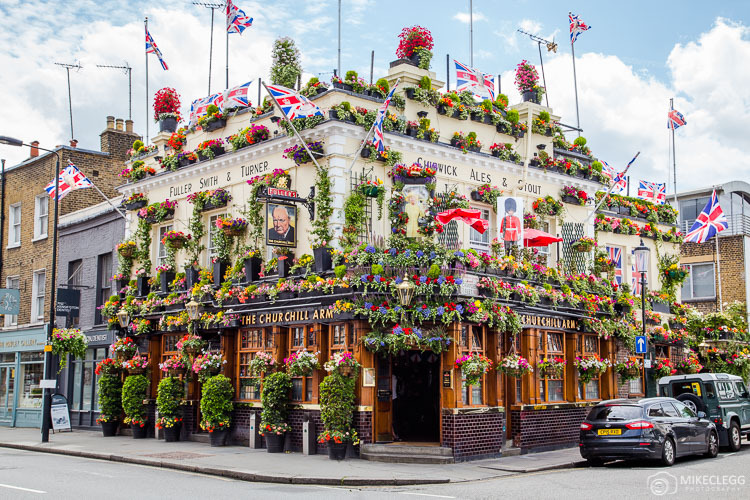 For ideas on pubs to visit head to Best Pubs in London by Tour Radar. A Duck Tour is a fun experience. You get on a brightly coloured amphibious vehicle that can drive on both land and water. During the tour, you will get to see many of the cities beautiful landmarks whilst learning from the guide. 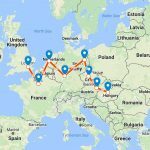 There are several tours available including a James Bond Tour, City of London Tour, a D-Day tour and many others. Visit their website below to find out more. 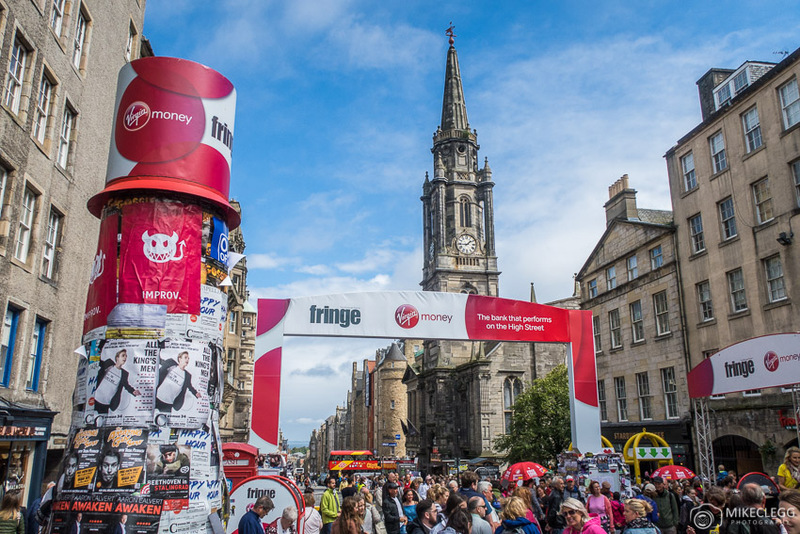 Fancy seeing a musical or other performance whilst in the city? 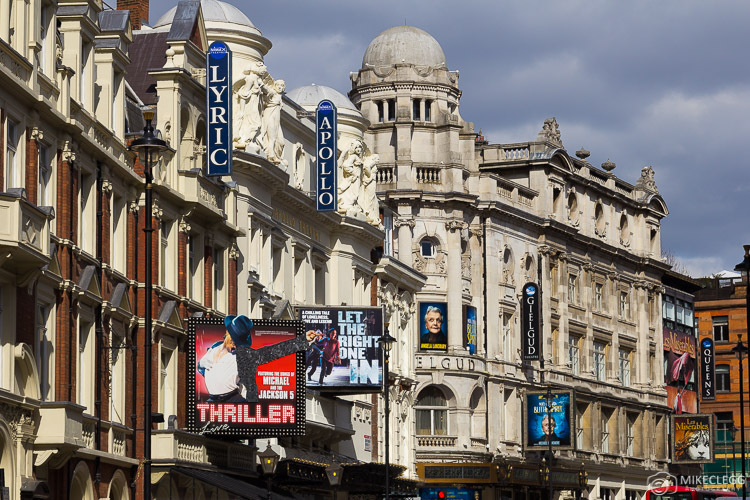 Well, London has it’s fill of theatres, and around the West End, you’ll find a large range of famous productions such as the Lion King, Thriller Live, Stomp, Les Miserables and many more. Head to londontheatredirect.com to search for tickets. 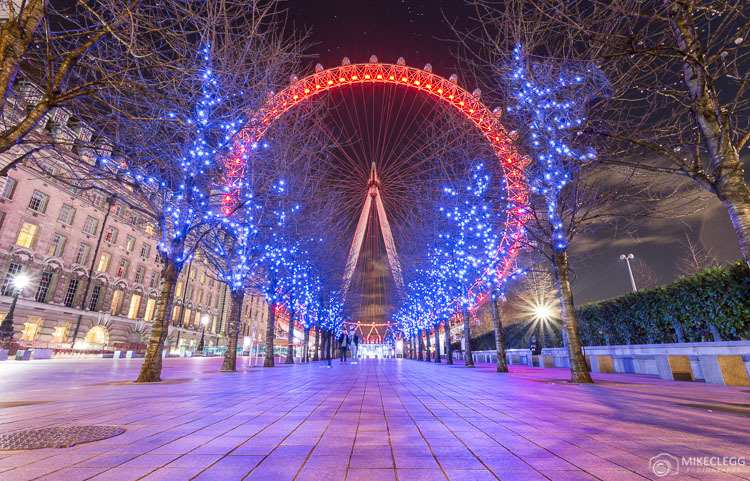 The London Eye is a huge Ferris wheel along the Queens Walk close to Westminster. 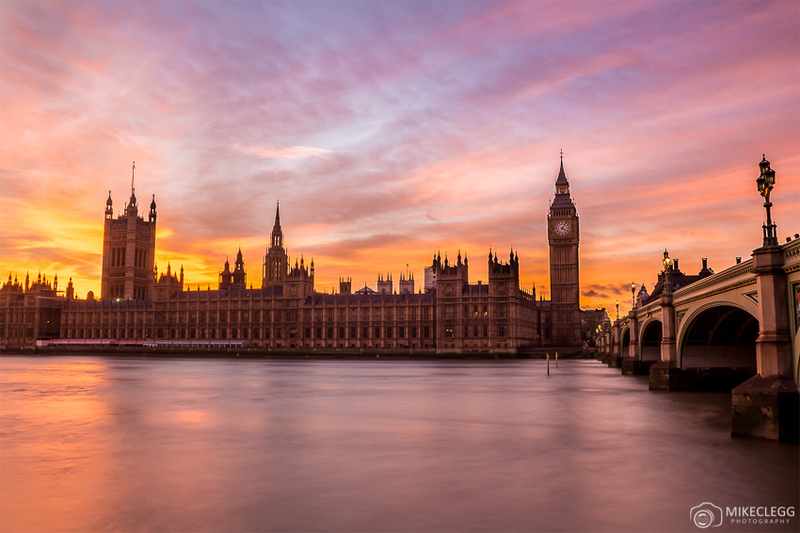 A ride on the London Eye takes around 30 minutes, and from the highest point provides some of the best views of the Houses of Parliament and London’s skyline. The Sky Garden is free to enter and is located in the centre of London’s financial district. At the garden, you’ll find restaurants, an artificial garden and of course awesome views of the city. To visit you have to book a visit. 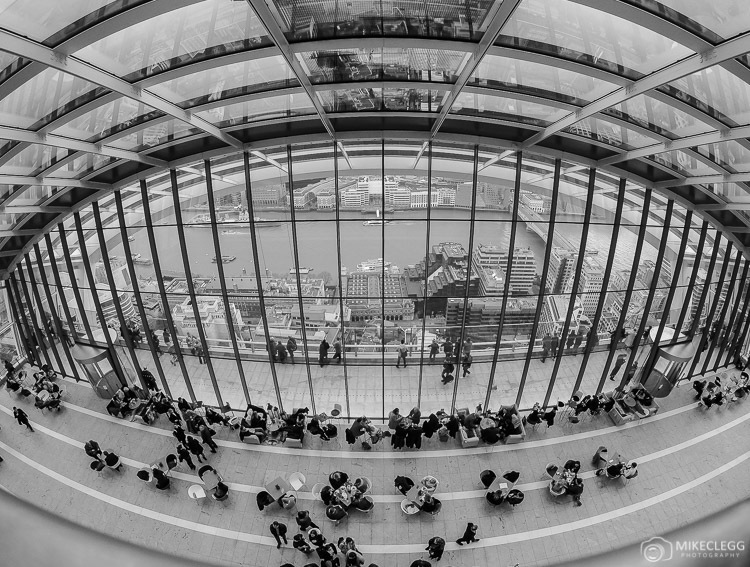 Head to skygarden.london to find out more. 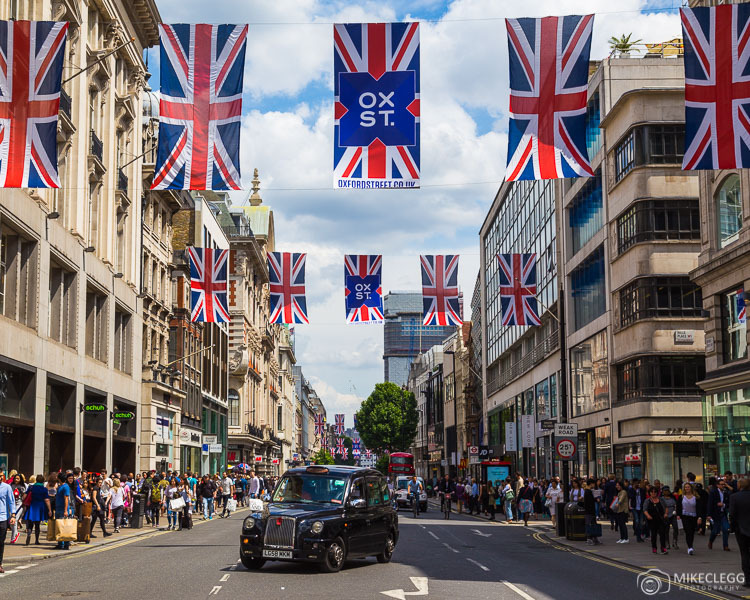 For those that like to shop then head to one of the best shopping streets in the world, Oxford Street. Here you’ll find endless stores lining the streets from a department store, national brands, through to boutique and independent brands. As well as Oxford Street you’ll find awesome shops and passageways coming off in all directions. A few other nice areas nearby include Regent Street, Carnaby Street, Piccadilly and Burlington Arcade. 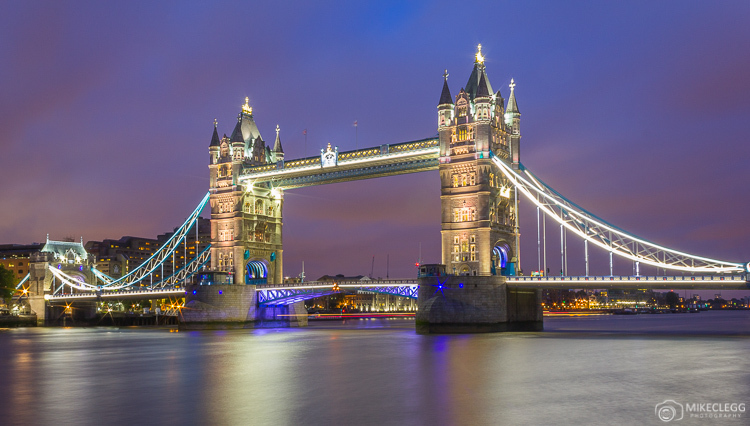 Tower Bridge is one of London’s most beautiful, oldest, and impressive landmarks. If you visit London and don’t see Tower Bridge you’d be missing out! 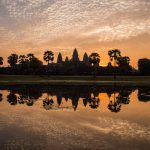 It is stunning to see both day and night, although I recommend coming here for sunset and the evening when the lights come on. Also possible is to visit the inside to learn more about the bridge and its history, and to walk along the upper walkway connecting the two towers. Spitalfields is located near London’s busy financial district near Liverpool Street Station. Here you’ll find markets, classy shops, restaurants, and street food. Spitalfields makes for a great place to go for lunch. Visit Spitalfields.co.uk to learn more. 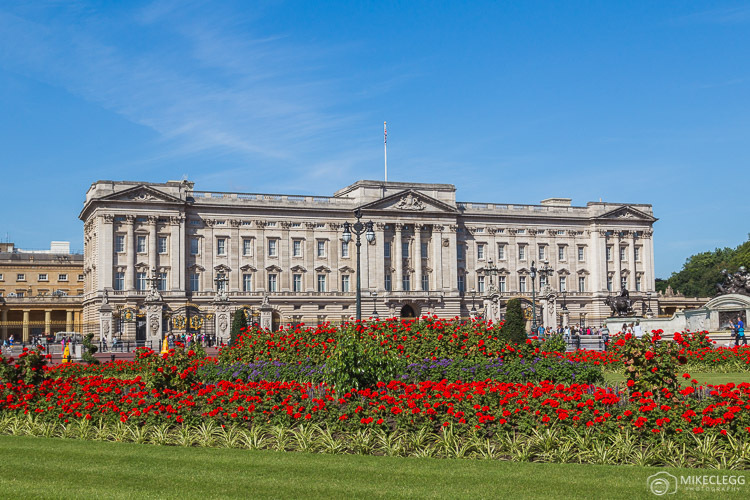 Another not to be missed attraction is Buckingham Palace, the home of the Queen of England. If you are visiting in the warmer months be sure to watch the Changing of the Guard, which includes a marching band and musical performance. This performance happens between April-July and then on alternate days outside of that. You can also visit the staterooms during certain times of the year. Head to royalcollection.org.uk/visit to find out the dates and times. 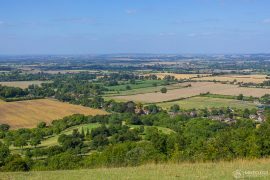 Want to get fit whilst exploring the city? 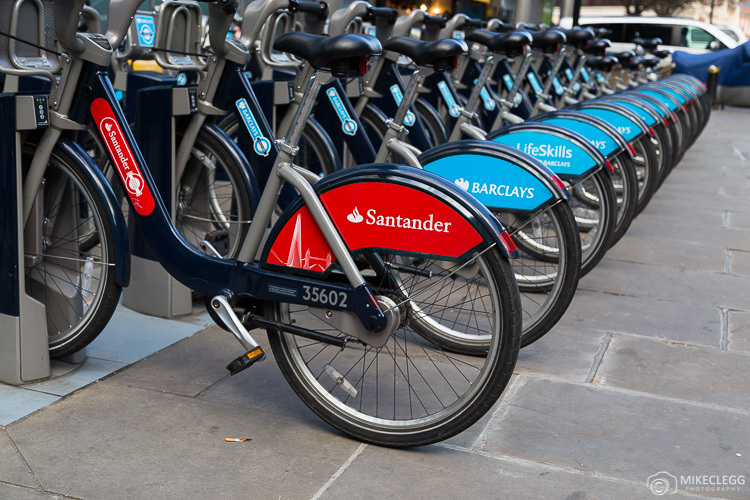 Then hire a City Bike, which you’ll find at docking stations throughout the city. Hiring a bike starts from around £2, and once you’ve finished you just return it to a docking station that has a free slot. To find out more about these bikes head to tfl.gov.uk/modes/cycling/santander-cycles. Covent Garden has shops, markets, restaurants, pubs, and even live performances (non-official) such as seen below. 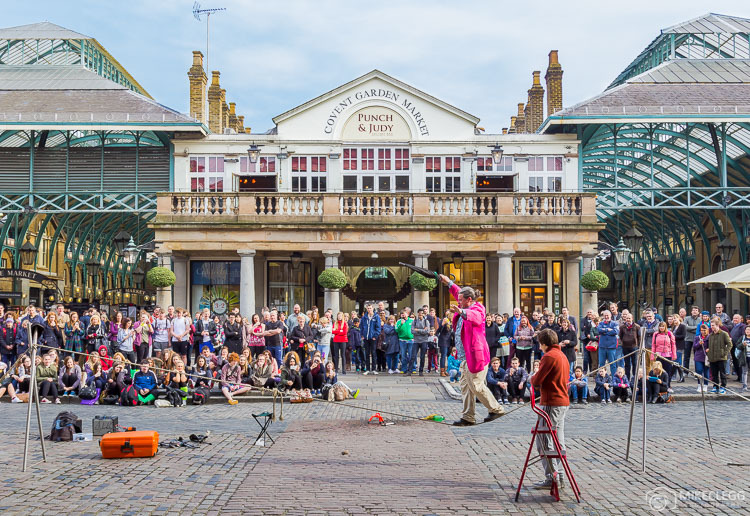 The Covent Garden area consists of a large piazza with the beautiful market seen below, and on the outskirts are more shops, bars and even the London Transport Museum. One of the many amazing things about London is that most of the museums are free to visit. 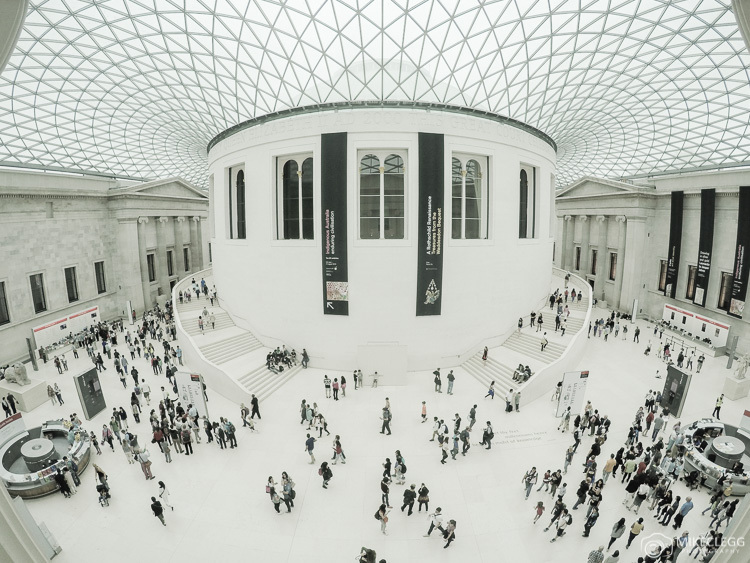 A few of my favourite museums include the Natural History Museum, The Science Museum, and The Victoria and Albert Museum, which all have incredible architecture as well as fantastic art. Head to visitlondon.com to find out more about the museums in the city. 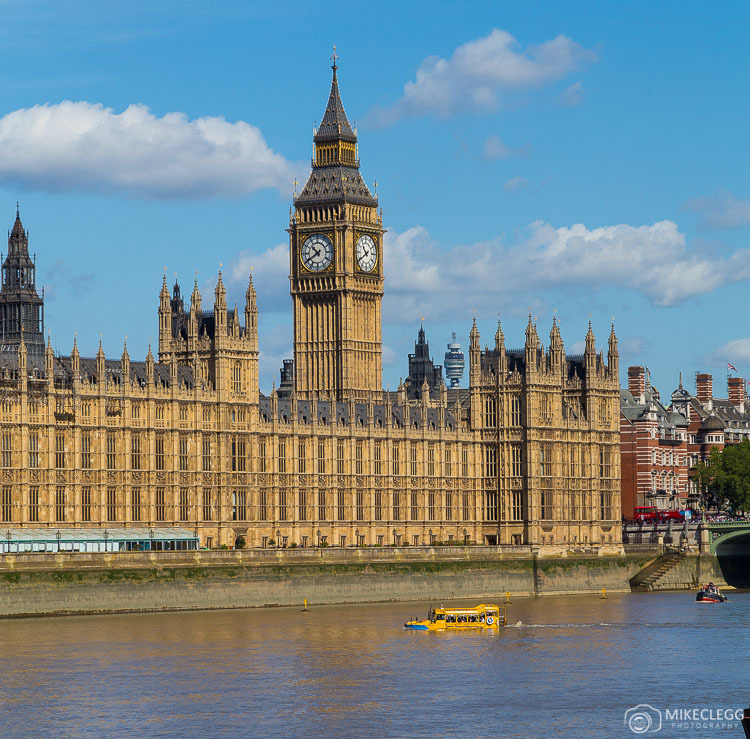 Directly opposite the Houses of Parliament along the River Thames is a pedestrian path. This path is perfect to watch sunset. You’ll find benches and in the evening it is a little romantic too. 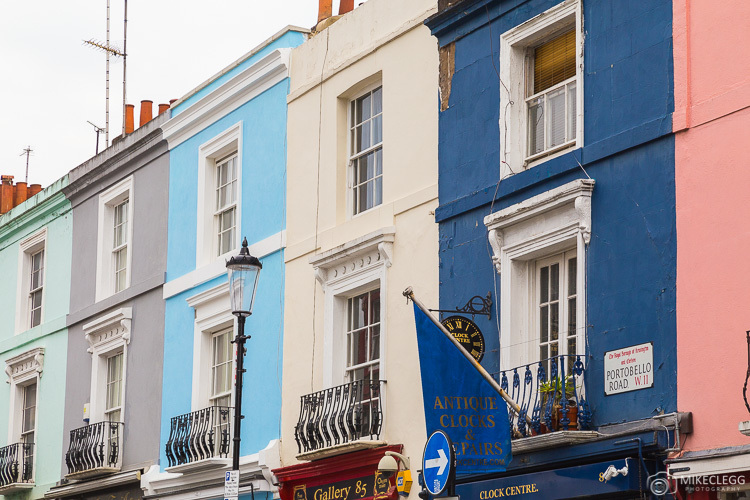 Notting Hill will provide you with endless streets of beautiful and sometimes colourful architecture. Around this area includes Portobello Road which has old antique shops and other stores worth checking out. Once a year in the summer there is also Notting Hill Carnival which is a great day out. 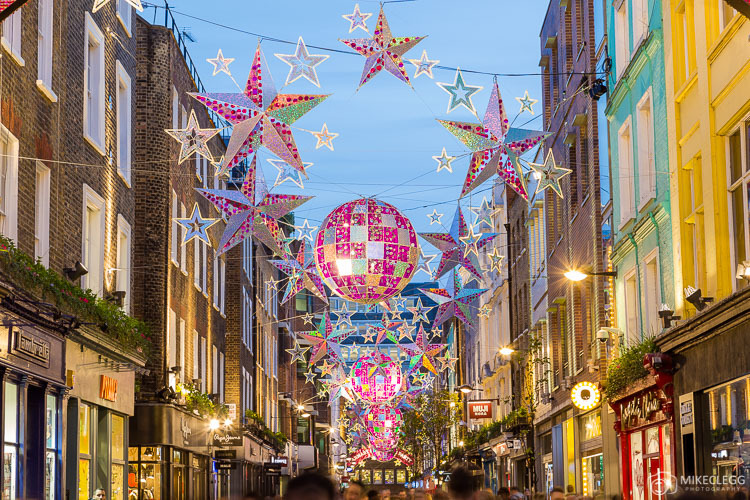 Carnaby Street is a pedestrian-only street close to Regent Street. Here you’ll find a range of beautiful shops including boutique and big brands. This street is also particularly nice at Christmas when they display creative decorations. Head on a big bus tour to take a trip around London and to learn about the city. There are three routes available and the buses allow you to hop on and off during the tour. 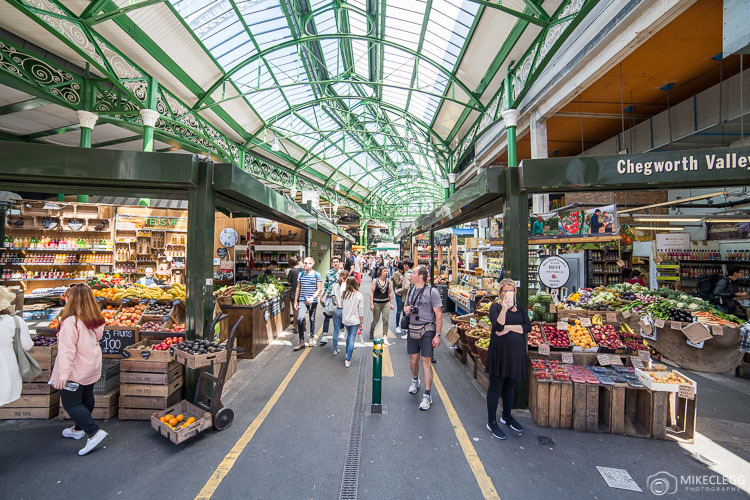 Borough Market near London Bridge, is a wonderful food market, selling delicious lunch options, fresh produce, cakes, international beer and wine, and other cool products. The Crown Jewels are located in the Tower of London towards Tower Bridge. The queues to see the crown jewels can be quite long, so if you notice a small queue I recommend jumping at the opportunity, or instead try and get there when it opens. As well as the Crown Jewels you’ll be able to explore the rest of the Tower of London complex and learn some of its history. The ZSL London Zoo is at the top of Regents Park and within the park, you’ll find lions, monkeys, birds, reptiles and lots of exotic animals. They also have special daily events including feeding, animal talks and various other activities. Streets, shop fronts and city squares put on their festive decorations at Christmas. 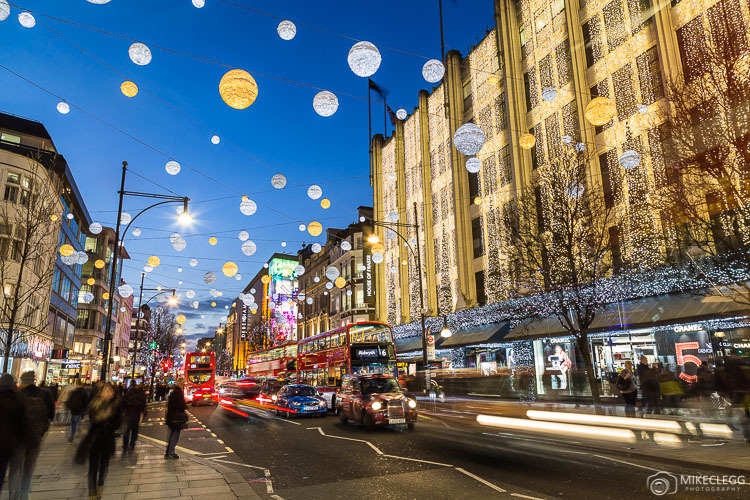 You’ll find some of the best decorations along Oxford Street, Regent Street and Carnaby Street. The main tree will be at Trafalgar Square and that normally goes up shortly into December. At Hyde Park is Winter Wonderland which is the main Christmas Market full of rides, food stalls and gift shops. Once a year you will have the opportunity to visit buildings which are normally not open to the public. This may include the London City Hall, The Gherkin and many more. All venues are free, but you may have to book tickets in advance for some places. The full programme of events can be found on openhouselondon.org.uk and will be listed closer to the event. 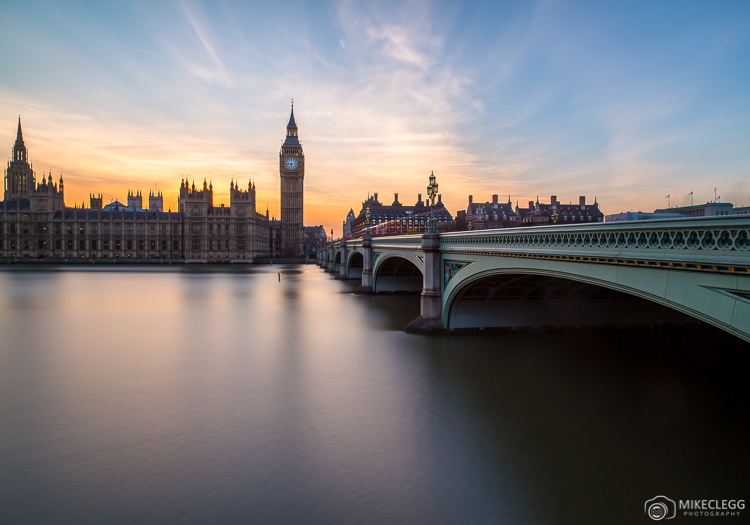 Hey Buddy!, I found this information for you: "Best Things to See and Do in London". 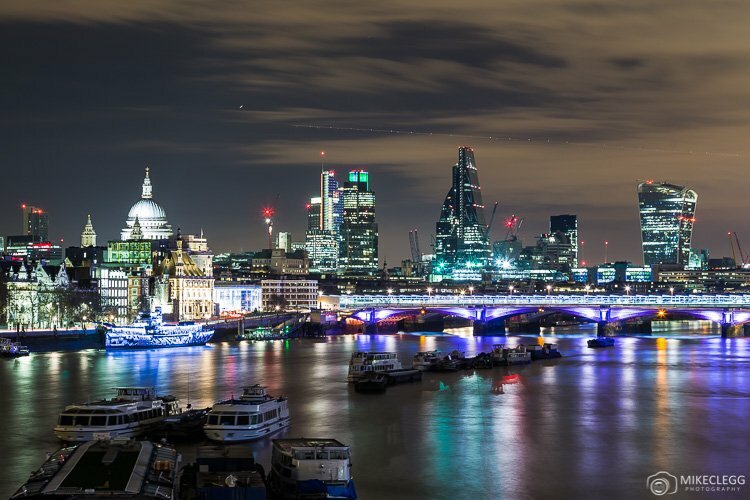 Here is the website link: https://www.travelanddestinations.com/best-things-to-see-and-do-in-london/. Thank you.